We scan microfilm into digital images from 16mm or 35mm rolls or cartridges. We can digitize all of your microfilm into high quality images at a very reasonable price. We have the ability to scan thousands of images per day. Using the latest generation microfilm scanners, we scan the entire roll of microfilm, including the areas in between frames to ensure that no frames are missed when the film is inconsistent. We can then review the results to manually capture any frames that would have been missed, as well as adjust the image quality to compensate for the film density changes throughout each roll. 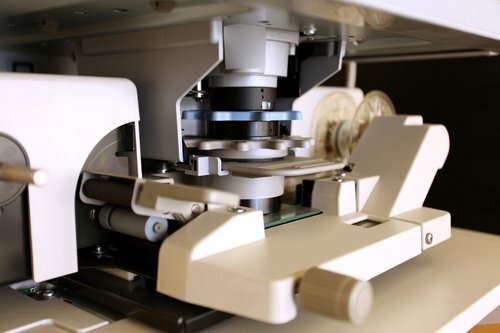 Once the microfilm imaging is complete, we index the scanned documents by matching to any existing databases such as CAR databases (Computer Aided Retrieval), by manual keying, or other methods. Additional services include OCR for text searchable PDF files, unitizing images into documents, and preparing images and index information for import into your ECM system. Just like microfilm, we can scan microfiche into digital images from all formats, such as: COM, Jacketed and Step & Repeat microfiche. Whether you have a few microfiche or thousands, we digitize all into high quality images at a very reasonable price. We have the ability to scan hundreds of thousands of images per day. Using the latest generation microfiche scanners, we scan entire rows of images, including the space between frames to prevent missing any frames when the film is inconsistent. We can then review the results to manually capture any frames that would have been missed, as well as adjust the quality of the image to compensate for the film density changes throughout the film. Once the microfiche imagine is complete, the process is the exact same as the microfilm completion; we index the scanned documents by matching to any existing databases such as CAR databases (Computer Aided Retrieval), by manual keying, or other methods. Additional services include OCR for text searchable PDF files, unitizing images into documents, and preparing images and index information for import into your ECM system. We also scan aperture cards into digital images from all types including Hollerith punched aperture cards, 16mm and 35mm image areas. Even if you have thousands of aperture cards in need of conversion, we can digitize them all into high quality images at a very reasonable price. Using the latest generation aperture card scanners, our scanners capture both bi-tonal and grayscale images allowing us to capture legible images from the most challenging aperture cards. The scanners also read the Hollerith punched information that many aperture cards have for indexing purposes. We are able to crop individual pages from aperture cards that contain multiple pages in the frame. Once the aperture card imaging is complete, we can index the scanned documents by matching to any existing databases, by reading Hollerith, by manual keying, or other methods. Additional services include OCR for text searchable PDF files, unitizing images into documents, and preparing images and index information for import into your ECM system.